The Throw Poetry Collective is well established among the anglophone slam poetry community in Montreal. 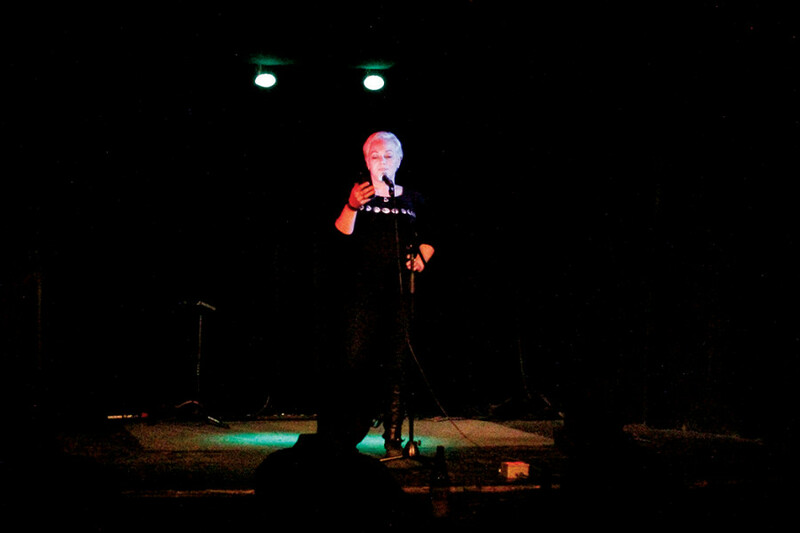 Operating out of the cozy performance venue Le Divan Orange on St. Laurent Blvd., the Throw Poetry Collective hosts monthly slam competitions on the first Sunday of every month during the academic year. a team-based slam competition tournament with the highest-ranking poets of the other spoken word communities of Canada. Le Divan Orange is ideal for a poetry slam, a relatively small space with a warm ambiance and boldly fashioned Montreal art on the walls that is constantly in rotation. Diverse vocalists with varying levels of experience can be seen catching up with each other, making last minute edits to their pieces, and discreetly muttering to themselves, rehearsing in preparation for the night to come. 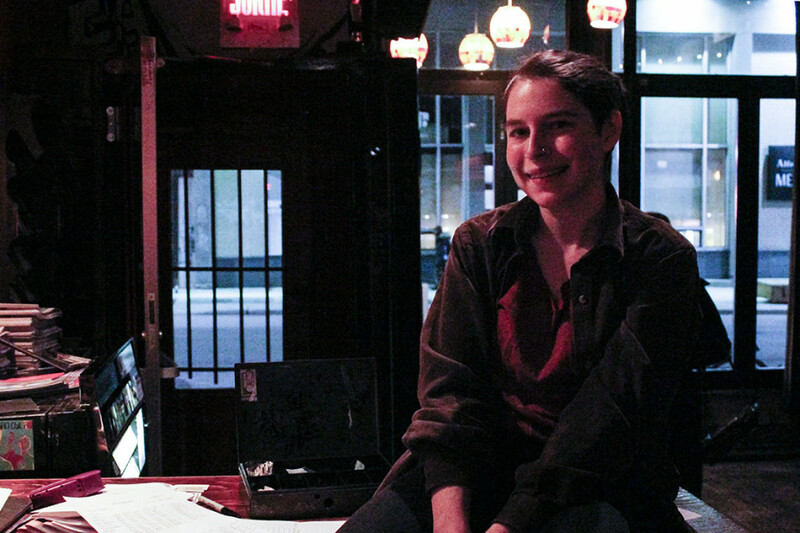 Anomaly is an organizer and a performer at the Throw Poetry Collective. Anomaly, a regular performer at the Throw Poetry Collective, has represented Montreal with the Throw at the CFSW on multiple occasions. What separates a slam competition from a regular poetry reading, besides the supportive yelling from audience members, is the scoring system. At the start of the night five judges are chosen from out of the audience at random. These five must not know any of the competitors personally, and are encouraged to score the artists based on whatever metric they deem to be important. The rules stipulate a score penalty for anyone who goes over their allotted time of three minutes per poem. After each poem is read, the judges hold up scorecards ranging from zero to ten. After the highest and lowest numbers are dropped, the remaining are tallied to help determine a winner at the end of each night. Holding scores to an art as entirely subjective as poetry may seem tedious, but these scores play an important role for the regulars over the course of a slam competition season. As the season goes on all of the scores are tallied and compiled, leaving a ranked top twelve performers to be invited to the final slam of the year. MCC is another poet with regular attendance at the Throw and has also participated in the CFSW on the Montreal team. Performers with varying levels of experience throw at the poetry slam. While there is a tangible reward for high scoring poets, the air is anything but serious. The community of readers and listeners alike come to the show to share their ideas and pieces in a safe and encouraging environment. The slam itself has an open sign-up sheet, allowing anyone to partake in the competition on a first come, first serve basis. Some new readers may be intimidated by the idea of being scored on the secret gems in their notebooks, which is why there is also an open mic portion at the start of the evening. Open mic performances are not scored or judged, and are a great way for newcomers to test the waters. 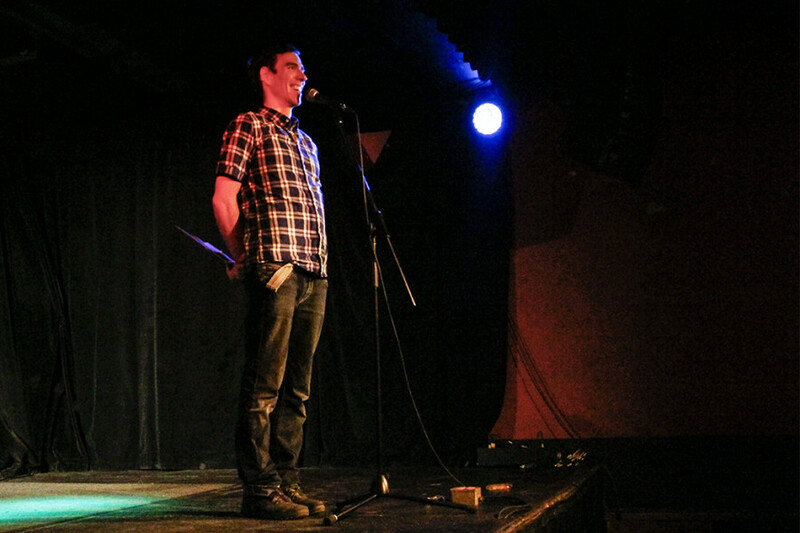 Chris Masson, a Concordia alumnus and one of the founding members of the Throw Poetry Collective, acts primarily as the host for the monthly slams.